Sgt. 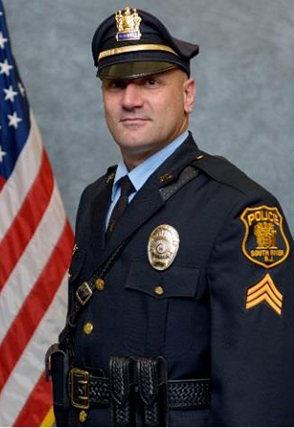 Edwin J. Yorek started his career in Law Enforcement in 2000 as a Special I Police Officer in Seaside Park New Jersey. In 2002 he graduated the 78th Class of Ocean County Police Academy with his full Police Training Commission Certificate and began working as a Special II Police Officer with Seaside Park Police Department. In June 2002 he began his career with the South River Police Department where he has served proudly for 17 years. In January of 2013 he was assigned to the agency’s Special Operations Division where his main responsibilities were Community Policing. In June of 2015 he was assigned additional responsibilities as the Traffic Safety Officer, which is within the Special Operations Division. In October of 2015 he was promoted to the rank of Sergeant and temporarily reassigned to the Patrol Division where he served for approximately 1 year supervising a patrol squad. Sgt. Yorek has successfully completed numerous different training schools and seminars within his 17 year law enforcement career ranging from, but not limited to; Advanced Patrol Techniques, Defensive Tactics Instruction, Motor Vehicle Crash Investigation, Domestic Violence Investigation, Horizontal Gaze Nystagmus (HGN), Intermediate & Advanced Community Policing Methods, Method of Instruction, Field Training Officer Certification, and D.A.R.E. / L.E.A.D. School Drug Resistance Education Certifications. Sgt. Yorek has also successfully graduated from the New Jersey State Association of Chiefs of Police 52nd Command & Leadership Academy. During his 5 years within the agency’s Community Policing and Traffic Safety Division Sgt. Yorek has been responsible for and implemented programs such as; Annual South River Police Department Public Safety Day & Bicycle Rodeos, South River Police Department Annual Basketball Free-throw Tournaments, Annual SRPD Junior Police Academies, 5th, 7th, & 9th Grade L.E.A.D. Drug Abuse & Resistance Education programs, South River High School 11th & 12th grade DWI/DUI Safety Awareness programs, Child Passenger Safety Seat Education, and Special Event Coordination. Sgt. 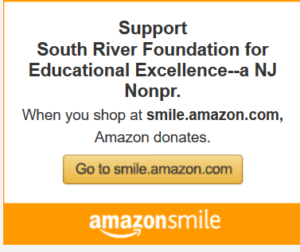 Yorek has pioneered programs to educate the youth of South River such as the “Sober-Ride Police Taxi”, KDCOP 5th through 12th grade anti-bullying seminars, KDCOP anti-bullying “Parent Awareness” seminars, and Marc Mero’s exclusive “Champion of Choices” leadership seminars for the South River Middle School & High School. Sgt. Yorek currently remains assigned to the agency’s Special Operations Division where he looks forward to continuing a rewarding career serving the residents of South River and working as a team with his fellow officers within the South River Police Department.